Digital content can take up a lot of space on mobile devices. Here I'll show you how to 1) archive a book -- which essentially removes it from your device's storage, and 2) remove a Plus book from your Library completely. Some users like to remove archived books from their Library. 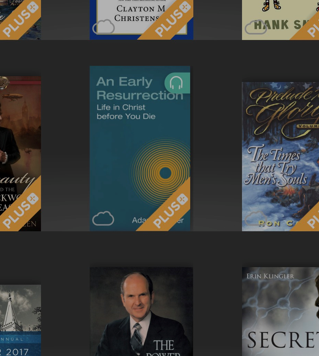 As it turns out, only books downloaded with Plus can be completely removed from your Library. Your Library is continuously synced with your purchase history so that your Library always stays current and connected when you purchase content. Due to this, users are not able to remove purchased content from their Library, as the order history needs to stay current. 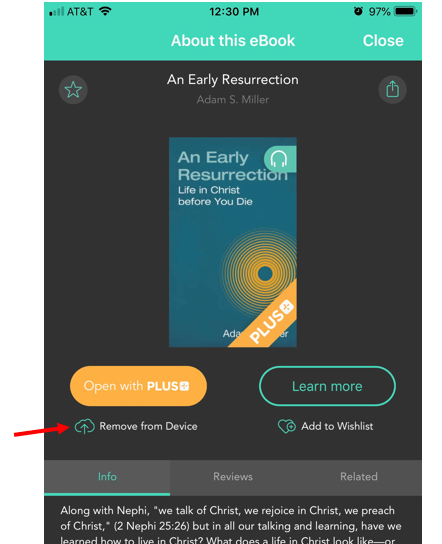 However, if it is a book that you have downloaded with Plus, you will be able to completely remove it from your Library. Follow the same steps that were used when archiving the book. Press and hold your finger on the cover of the book until the new screen pops up. 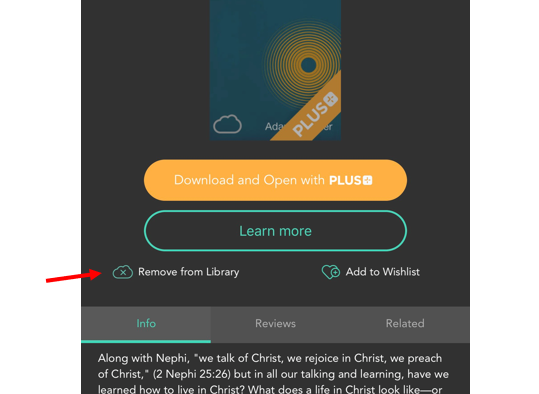 Then, tap on Remove from Library to completely remove the Plus book from your Library.